How Does the Spinning of a Turbine Generate Power? Although electricity was discovered as early as the 18th century, humans have made significant strides in producing electrical power through various means since that time. Among the most common means of producing energy is with turbines of different types, including gas and steam turbines. At the core of a turbine’s energy-producing operations is the spinning of its rotors. Here is a breakdown of how this spinning generates large quantities of electricity. Put simply, generators convert kinetic energy, which is based on movement, into electric energy. However, there are a number of different ways that this kinetic energy can be achieved. Most commonly, this electrical generation is created by using electromagnetic induction and by harnessing mechanical energy that causes a generator to rotate. Therefore, one of a generator’s most principal operations is the creation of kinetic energy. Gas turbines, which are also known as combustion turbines, are composed of a gas compressor, a downstream turbine, and a combustion chamber known as the combustor. Air is drawn into the compressor where it meets with fuel, most commonly natural gas. This results in combustion, and the high-temperature and high-pressure gas then spins rotating blades, which draw more pressurized air into the combustor and spin the generator. Operating on similar principles, steam turbines instead use extremely high temperature and highly pressurized steam to extract thermal energy. In the process, water is heated in a boiler to create steam, which is then pumped into the turbine to spin turbine blades. After, the steam is often cooled back into a liquid state and then used to create more steam. Much like in a gas turbine, the spinning generator is crucial to creating electricity. Today’s generators work on the same principles of electromagnetic induction that were discovered in 1832. In this year, a man named Michael Faraday discovered that electrical charges could be created when an electrical conductor was moved in a magnetic field. This movement resulted in a difference of voltages between the two ends of the wire or conductor, resulting in a flow of the electrical charge and finally an electrical current. In modern generators, the rotating elements are surrounded by a large magnet and coils of copper wire. The magnet is rotated as a result of the spinning wheels, and this results in a powerful stream of electrons, therefore converting the mechanical energy into electric energy. As oil and gas are demanded more and more on a global scale, power production companies have been forced to consider the efficiency of turbines. Because of the many factors involved in energy production through turbines, there are a number of stages where efficiency is lost. Although the stage of spinning is where electricity itself is created, the preceding stages that require large amounts of heat and combustion can result in a loss of efficiency. 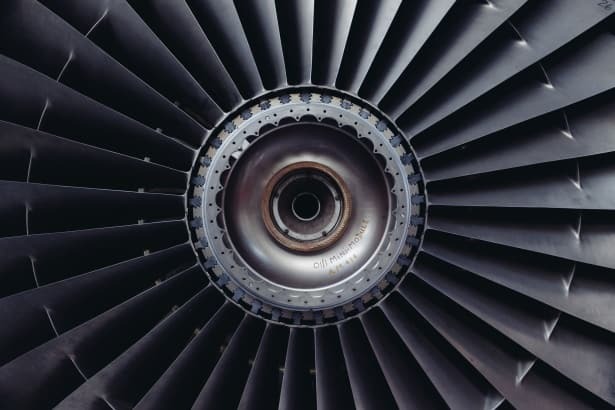 In general, steam turbines are a more efficient model than gas turbines, because they require less in maintenance and equipment fees on average. Also, because they require a source of consistent heat, the operations generally involve a consistent heat source, resulting in higher efficiency. However, they also require a large amount of time to reach operating levels. The combustions involved in gas turbines mean that there is a significant fluctuation of temperatures, resulting in a loss of efficiency. However, many plants make up for this loss of efficiency by using a combined-cycle system. In this system, the hot exhaust gas from a gas turbine is transferred to a steam turbine, therefore greatly increasing the efficiency of the operations as a whole. Because the spinning stage of turbine operation is so crucial to the creation of energy, it is important for power plants to have consistent control operations on their turbines, rotors, and facilities. For more information about how Petrotech provides intelligent control systems for power generation plants, explore our featured white papers.